Featured Website - SkyLine Farm | Kicking Horse Media Web Design & Development Inc. 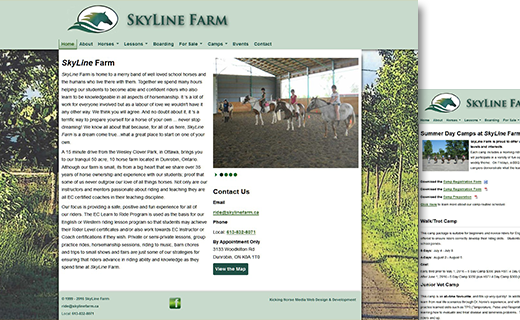 The SkyLine Farm website was created to market a professional equestrian training centre. See the SkyLine Farm Website.